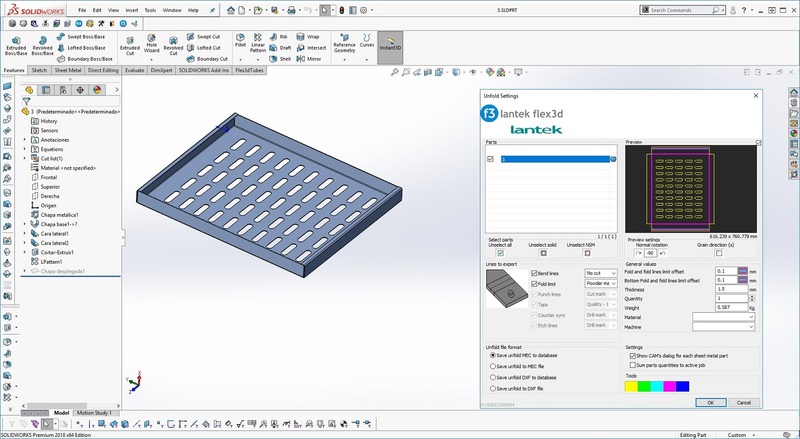 Lantek Flex3d CAD Addins import native CAD drawings from popular CAD systems such as: SOLIDWORKS®, Solid Edge®, Inventor®, Catia®, and Creo Elements/Pro™ (formerly Pro/ENGINEER) for the automatic unfolding of any sheet metal design in 3D. This solution is ideal for integrating the user’s 3D models with Lantek CAD/CAM/MES/ERP. It is a powerful, direct, and intuitive way to avoid unnecessary file generation. Parts and assemblies generated with Lantek Flex3D Addins are directly transferred to the Lantek Manager and Lantek Integra management systems for integrated manufacturing and management processes, as well as to the Lantek Expert system for material and machining optimization processes. Between both systems, Lantek offers a complete solution, which includes 3D part design through to CNC generation per machine type. 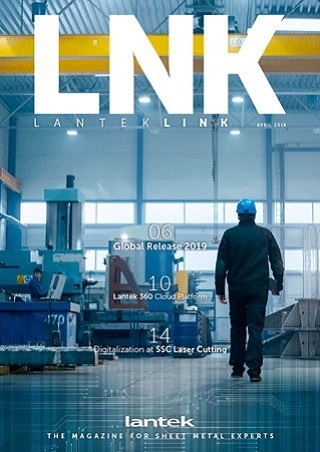 Lantek has acquired Solution Partner status, which means that Lantek Flex3d Addins complements the SOLIDWORKS® system, providing it with functions of specific interest to companies working in sheet metal processing. Lantek has acquired Voyager Member status, which means that Lantek Flex3d Addins complements the Solid Edge® system, providing it with functions of specific interest to companies working in sheet metal processing. 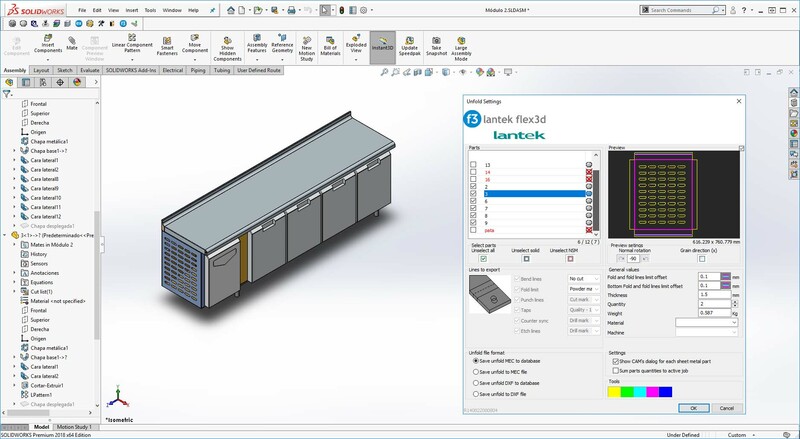 Lantek has acquired ADN Member status, which means that Lantek Flex3d Addins complements the Autodesk Inventor® system, providing it with functions of specific interest to companies working in sheet metal processing. SOLIDWORKS® and CATIA® are registered trademarks of Dassault Systèmes S.A. Solid Edge® is a registered trademark of EDS/PLM Solutions. Autodesk Inventor® is a registered trademark of Siemens Product Lifecycle Management Software, Inc.
Creo Elements/Pro™ (formerly Pro/ENGINEER) is registered by Parametric Technology Corporation (PTC).